Everybody has an estate plan. Even if you don’t think you have an estate plan, that is a plan in and of itself. And if you die without a will in the State of North Carolina, a statutory scheme has been developed for you to divide up your assets in a way that you may or may not approve of. When this happens, you are said to have died “intestate” or “without a will”. Before we get into the details of how your property would be divided if you died without a will in place, a bit of background is necessary. If you currently have personal property, real estate or financial assets in your sole name, then there are only two ways that you can transfer that property to someone else: 1) with your signature or 2) via a court order. When you die, option #1 is no longer viable, so a court order is required to transfer your personal property and other assets to your heirs. 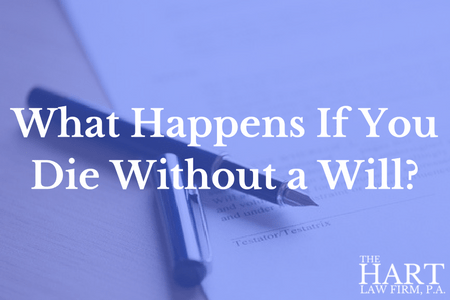 This process is called “probate” and it occurs whether you have a will or not. This process is called “probate” and it occurs whether you have a will or not. Someone would need to come forward to open up a probate file with the Clerk of Court in the county in which you lived. Typically, you would name that person, also called the “personal representative”, in your will. But if you don’t have a will, then your heirs would have to decide on someone to do it. Oftentimes, one person just takes control of the situation whether the other family members like it or not. This can often lead to resentment and infighting among your loved ones. The personal representative will be tempted to try to do this on their own to save money, but this frequently leads to bigger problems, mistakes, and prolongs the process. IF YOU ARE NAMED THE PERSONAL REPRESENTATIVE, WE HIGHLY RECOMMEND YOU HIRE A LAWYER TO ASSIST YOU WITH THE PROBATE PROCESS. The entire probate process will take approximately 6-12 months or longer. The entire probate process is a matter of public record. The probate process can be very expensive, costing on average 3-5% of the total estate. Retirement Accounts, provided you have a named beneficiary. Assets held in a Trust Account. The final option listed, putting assets into a trust account, is frequently a viable option for many, but not all, families. Here is more information on trust based planning. 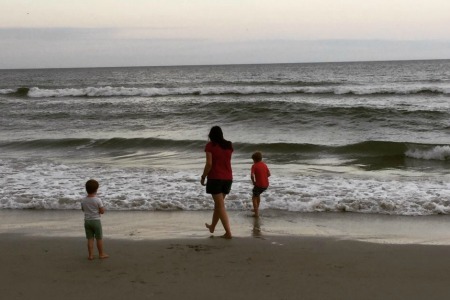 The bottom line is, the more planning you do, the easier you will make the entire process for your entire family. Here is a basic overview of what would happen if you were married and died without an estate plan in place. 1) Your spouse is entitled to $30,000 off the top. This is known as the spousal allowance and is permitted in all cases. The remainder of your property is divided amongst your children first, and if none, then your parents, and if none, then you siblings, etc. (if you are not married). It’s important to note that if you are married, you can’t just “disinherit” your spouse (if that is what you wanted to do). Your spouse is, at a minimum, is entitled to an “elective share” of all of your assets. I talk about that in more detail here. Every person’s situation is different and unique. An estate planning lawyer can help you develop a strategy that will allow you to minimize the negative aspects of probate, maintain your privacy, and make the process faster and less expensive for your loved ones. 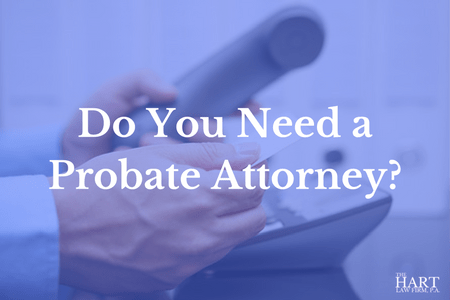 Should you have any questions about this process, or if you wish to schedule a time to come in and talk to us about the planning process or assisting you with the probate of a loved one’s estate, you may reach us at (919) 883-4861 or fill out our contact form.